Earl Cletus Wentz, 103, of Accident, MD, died peacefully in his home on Tuesday, February 5, 2019. 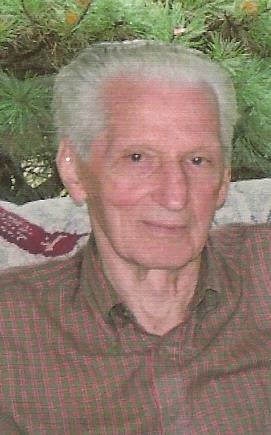 Born October 5, 1915, in Hanover, PA, he was the son of the late Elmer and Mabel (Gise) Wentz. He was also preceded in death by his wives, Lorraine (Evert) Wentz and Kathleen (Fratz) Wentz; his siblings, Roy Wentz, Pauline Small, Edgar Wentz, Dorothy Black, Raymond Wentz and Helen Ayers; and a step-daughter, Peggy Plumlee. Mr. Wentz was an amateur boxer from 16 to 28 years of age, participating in a few bouts at the professional level. During some of this time he was a taxi driver in Baltimore. He was a World War II veteran in the U.S. Army and a member of the American Legion Post 208, Accident. When his family was very young, he was employed at Bell Aircraft Corporation in Buffalo, NY. In 1960, he realized a dream by opening his own bakery, Earl’s Pastries, in his hometown of Hanover. He first learned the art of baking as a teenager from his grandmother. The bakery became a family endeavor and his children thrived with the challenge of working there. He was later employed by Giant Food stores in their bakery. Earl always contributed to family and church gatherings and fundraisers with his pies. He liked to try new recipes and variations as he did baking an apple pie during the last week of his life. In later years Earl was an active yearly participant in the Maryland Senior Olympics. He currently holds three records in various age group meter sprints. He could often be seen running around Accident practicing for the events. Earl was a member of the Zion Lutheran Church, accident. He as a Lutheran Braille Worker volunteer at his church of the first 16 years after the mission was started in the community. He would also readily volunteer to drive friends to appointments when needed. Most of all Earl enjoyed time spent with his family. He and Kathleen traveled extensively to many states visiting relatives and sightseeing; they always enjoyed staying at a Bed and Breakfast. For family living away it was always a delight to have them arrive. He is survived by one sister-in-law, Mary Ann Wentz; two sons, David (Suzanne) Wentz and Gary Wentz, Sr.; two daughters, Catherine Trueworthy and Linda (Dabnay) Allen; four step-children, Jim (Lena) Fratz, Margie (Robert) Nelson, Connie Wagner and Bill (Barbara) Fratz; daughter-in-law, Pamela Wentz; six grandchildren, John McBride, Joy Trueworthy, Zachary Wentz, Sarah Wentz, Gary Wentz, Jr. and Sherry Wentz; 12 step-grandchildren, Tammy Glick, Laura Butler, Scott Bowser, David Fratz, Rebecca Carrington, Amy Shimko, Jason Robison, Allison Wagner, Billy Wagner, Sara Mahler, Kathy Williams and Lori Kyle; 9 great-grandchildren, 32 step-great grandchildren and many nieces and nephews. Friends will be received at the Newman Funeral Homes, P.A., 179 Miller St., Grantsville, MD, on Sunday from 2-5 p.m. Funeral services will be conducted in the Zion Lutheran Church on Monday, February 11, 2019, at 11:00 a.m. with the Rev. James Oester officiating. Friends may call at the church one hour prior to the services. Interment will be in the Zion Cemetery. Military graveside rites will be accorded by Accident Post 208, American Legion. Expressions of sympathy may be directed to the Zion Lutheran Church, P.O. Box 171, Accident, MD 21520 or to the Accident Post 208, P.O. Box 208, Accident, MD 21520.